Get Your Free Wine Pouch This Week! 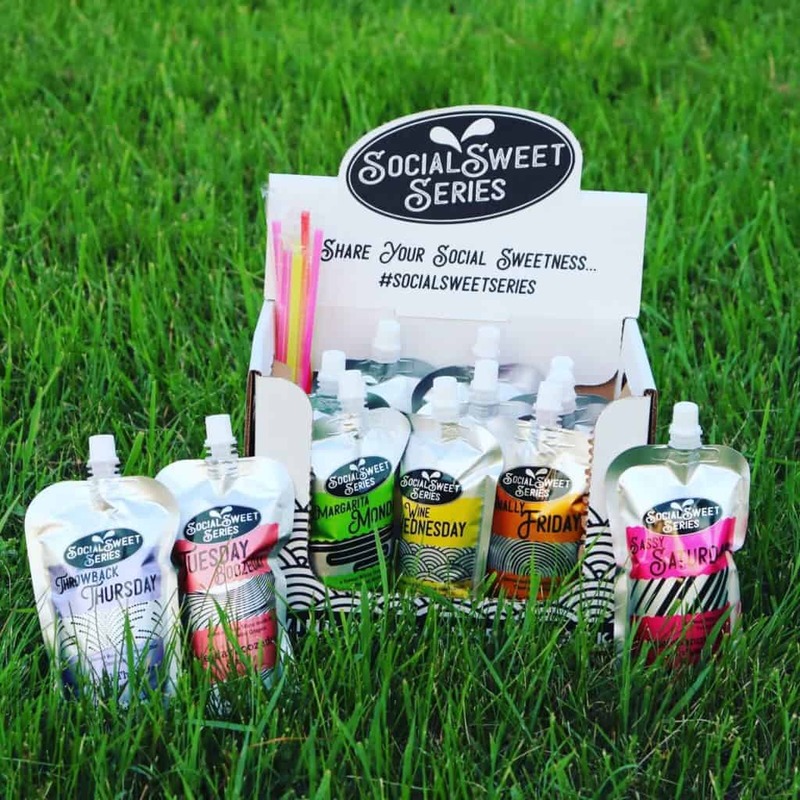 We had a lovely weekend at the winery with all of our friends celebrating the long-awaited launch of the Social Sweet Series wine pouches! THANK YOU! Now … JOIN US ON FACEBOOK today thru Sunday as we keep the drinks going and have the chance to try these delicious, easy to drink, convenient wine pouches for FREE! Timber Hill Winery has Wisconsin-made WINE POUCHES TO GIVE AWAY all week on Facebook! Take life with a grain of salt, a twist of lime, and a winerita poured over ice or blended. Why limit Boozeday to Tuesday? You can drink this sweet blush wine any day of the week. This sweet white wine is exactly what you need to help you get through the week and keep your eyes on the weekend. A sweet red wine that will take you back to a simpler time when recess was your main priority. Celebrate a successful week with this sweet red wine that has an aroma of cherry, vanilla, and lightly toasted oak. A sweet red wine with a twist of peach, lemon, and berries is perfect for sipping on the patio all day Saturday. Join us on Facebook and let’s get you set up with some FREE WINE! NO PURCHASE NECESSARY. This giveaway is open only to those who are 21 years of age or older at time of entry. Prizes must be picked up at the winery in Milton, WI during regular business hours. Runs 07/09/18 to 07/15/18 with a total of 7 days of prizes. To enter, participants must like and comment on day of entry post. This promotion is in no way sponsored, endorsed or administered by, or associated with Facebook. You understand that you are providing your information to Timber Hill Winery and not to Facebook. Please enjoy our wines responsibly.